The Special Assistant to the President on Prosecutions, Okoi Obono-Obla, has said there will be consequences for the Acting Chairman of the Economic and Financial Crimes Commission (EFCC) Ibrahim Magu, if the anti-graft agency fails to act on the letter written to him by Abubakar Malami, the Attorney-General of the Federation (AGF) and Minister of Justice. The AGF, in a letter dated August 1, 2017 had ordered Magu to forward to his office the outcome of investigations along with its recommendations on “serious or complex” cases. The letter is said to be a follow-up to one written to the commission in July 2016, also requesting for the files of indicted former governors and senators. However, in an interview with PUNCH, Obono-Obla warned that Magu’s refusal to obey the AGF’s order will bring about consequences for “indiscipline and insubordination”. He said the office of the AGF requested the case files to enable it carry out its oversight functions. He also refuted the claims that there is a personality clash between the AGF and Magu. urging the commission to comply with the EFCC Enforcement Regulation that was made in 2010. The regulation requires that in any case above N50m, the EFCC must carry along the office of the AGF from investigation to prosecution. “The letter was about the case files because if the cases are not well prepared, the office of the AGF will be blamed for it. So, the office wants to carry out its oversight function. 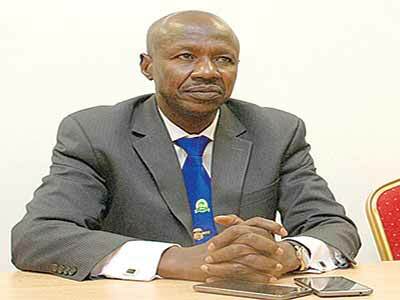 “The EFCC cannot be more patriotic than the office of the AGF. Why is it that the EFCC is not cooperating when we are working for the same government? “If the EFCC refuses to act on the letter, there will be consequences on acts of indiscipline and insubordination.